Field is a flexible dining table by We Do Wood which creates space for the whole family to sit down and enjoy a meal together. Thanks to its folding feature, the table is as suitable in a small apartment as it is in a house. In seconds, it can be collapsed and stowed away in a space-saving way. The special brackets and metal fittings make it possible to quickly and easily set the table up. 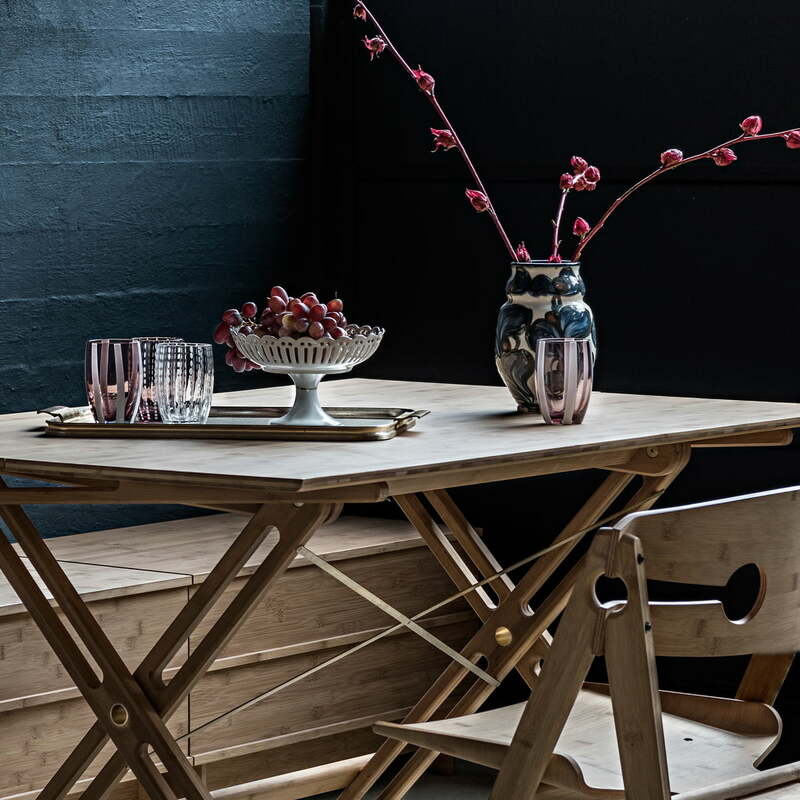 The table designed by Sebastian Jørgensen is not only characterised by its practical advantages, but also by its stylish and minimaslist Scandinavian-style design. The Field folding table consists of certified Moso bamboo, one of the world's most sustainable, natural resources. We Do Wood works only with certified plantations, where the bamboo is grown without chemicals, pesticides, herbicides, or fertilizers. Isolated product image of the We Do Wood - Field Folding Table, bamboo. Field is a flexible dining table by We Do Wood which creates space for the whole family to sit down and enjoy a meal together. Lifestyle product image of the We Do Wood - Field folding table. Thanks to its folding ability, the table is as suitable in a small apartment as it is in a house and can be easily set up in seconds. 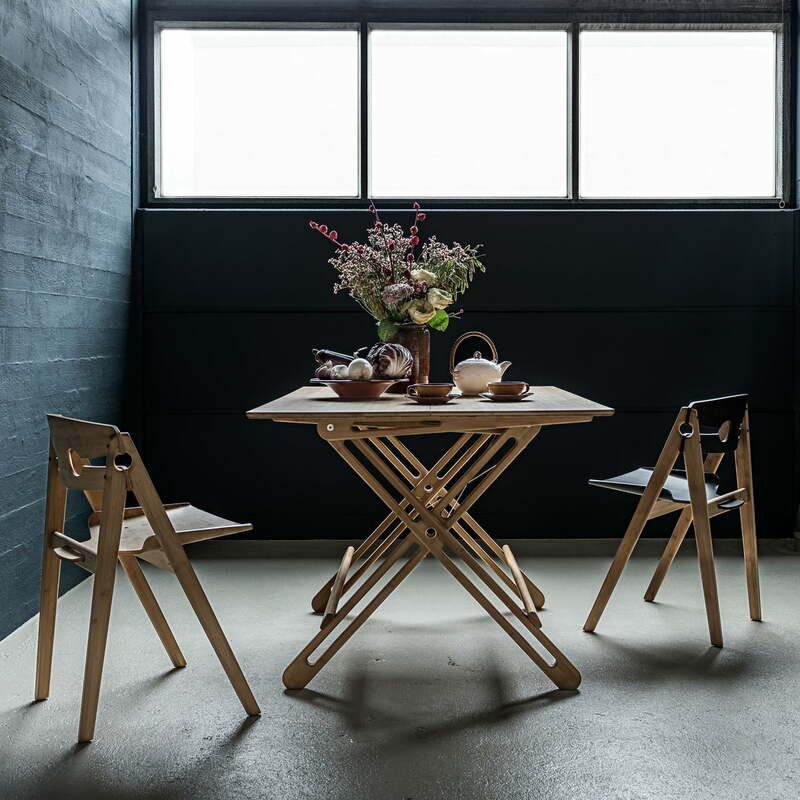 Lifestyle product image of the We Do Wood - Field folding table. The special brackets and metal fittings make it possible to quickly and easily set the table up. 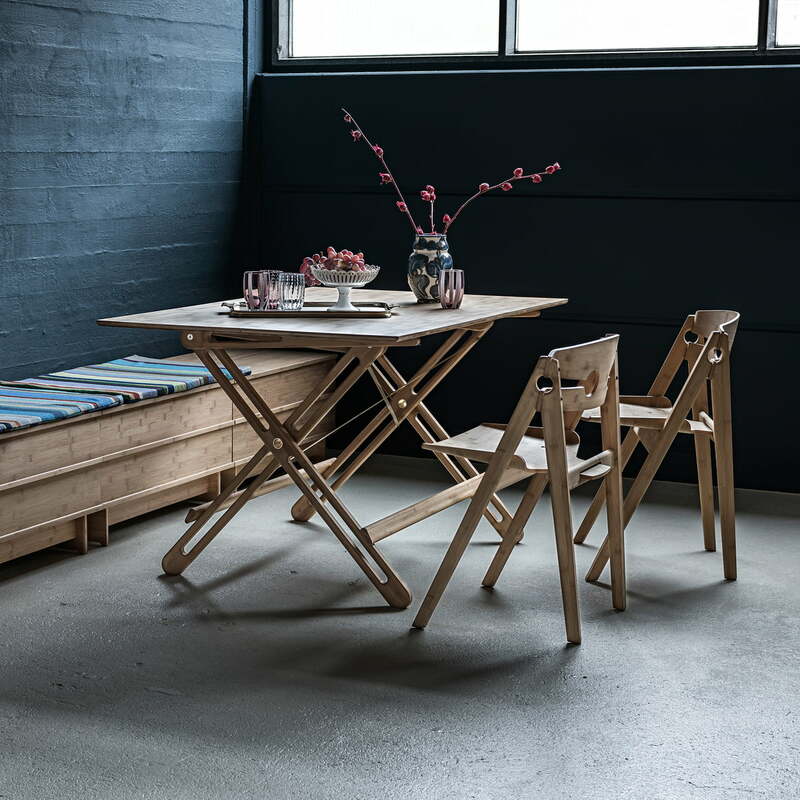 Lifestyle product image of the We Do Wood - Field folding table. The flexible folding table by We Do Wood serves as a place where the whole family can come together and share a meal. Isolated product image of the We Do Wood - Field Folding Table, bamboo. In the blink of an eye, the field table can be folded up and stowed away in a space-saving way. 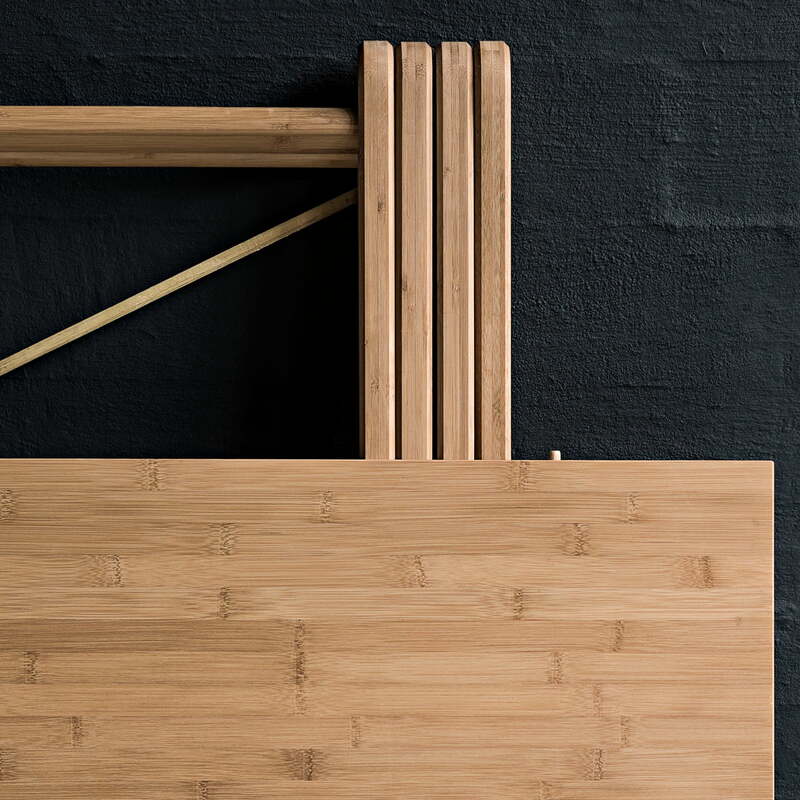 Detailed product image of the We Do Wood - Field Folding Table, bamboo. The Field folding table consists of certified Moso bamboo, one of the world's most sustainable, natural resources. 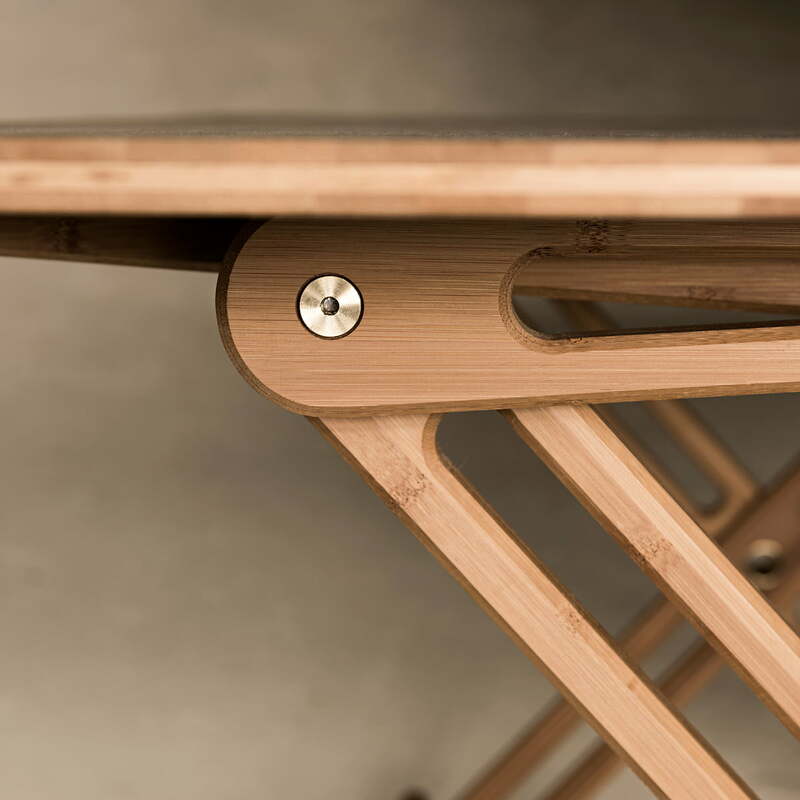 Detailed product image of the We Do Wood - Field Folding Table, bamboo. We Do Wood works only with certified plantations, where the bamboo is grown without chemicals, pesticides, herbicides, or fertilizers. 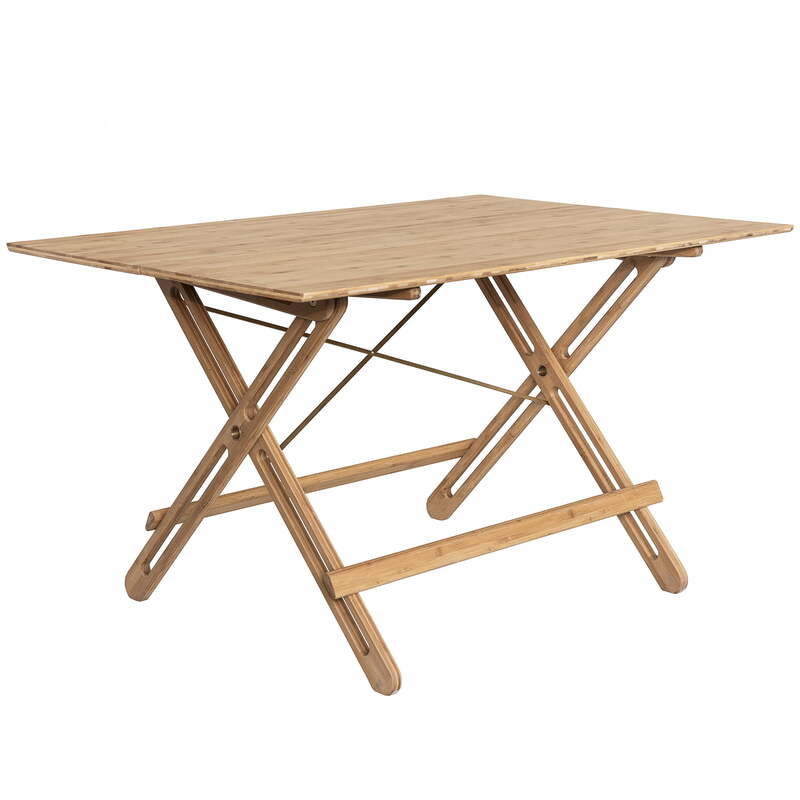 Detailed product image of the We Do Wood - Field Folding Table, bamboo. 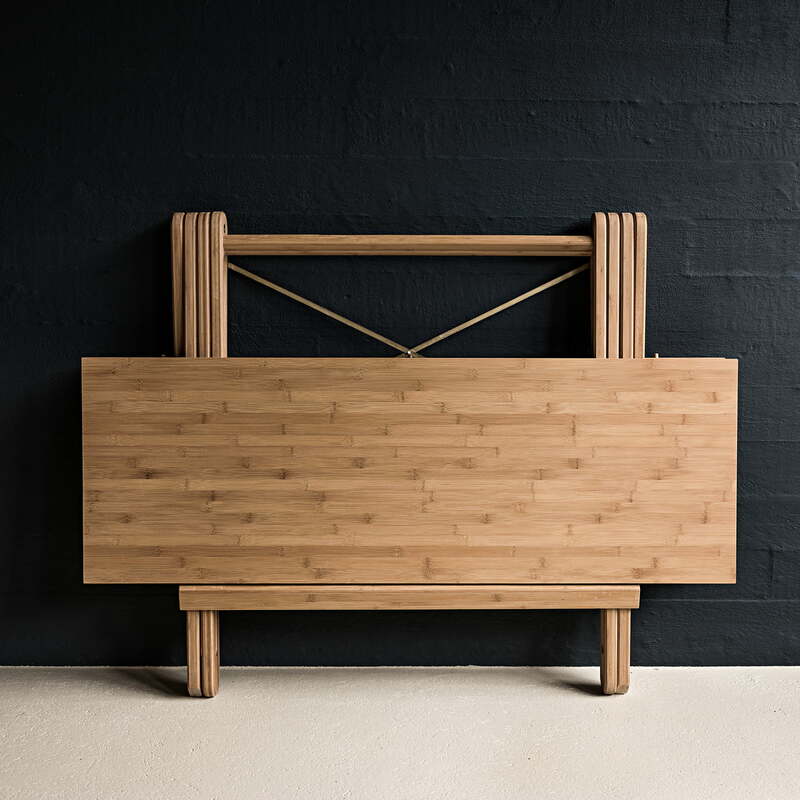 The special way in which the bamboo is processed makes the table a high-quality and visually appealing piece of furniture.